KATHMANDU, Feb 14: The final match between Canada and Nepal under the ICC World Cricket League Division Two on Wednesday will be a must-win game for Nepal to qualify to the ICC World Cup 2019 Qualifiers being held in Zimbabwe. Home team Namibia’s win over Kenya on Tuesday has propelled them at the second position in the points table above Nepal. Although Namibia and Nepal have equal points (six) on the table, the latter is ranked lower due to negative run rate. 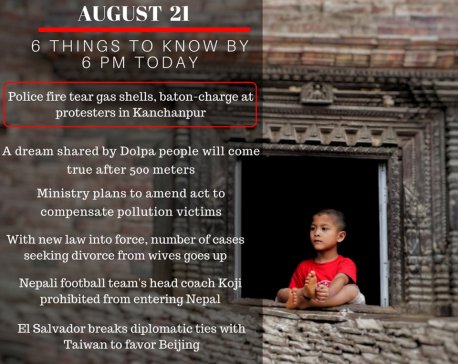 Namibia has a run rate of 0.787, while Nepal’s run rate is -0.158. Canada sits on top of the table with six points and 1.116 net run rate. The United Arab Emirates (UAE) has four points and languishes at the fourth place on the table. Both the final league round matches, Nepal versus Canada and Namibia versus the UAE are eliminators. The winners will go to the next round, whereas the losers will stay in the Division Two waiting for next cycle of qualifications to start. Namibia routed Kenya by eight wickets chasing the target of 111 in 16 overs in Windhoek, Namibia on Tuesday. Stephen Baard smashed five boundaries in his 39 deliveries scoring 37 runs before getting retired hurt. Craig Williams then smashed a whirlwind unbeaten 28 runs from 18 deliveries that included two boundaries and two sixes to take Namibia home and take them to qualifying spots. Kenya’s opening batsman Dinesh Gondaria’s 60 runs including four boundaries and five sixes went in vain as Kenya lost last nine wickets for 33 runs to get bundled out on 110 runs in 30.1 overs. The match restarted on Tuesday from ball one after the match between the two teams on Sunday was washed away due to rain. Kenya was bundled out for 83 but rain interrupted the chase when they were at 15 for no loss in 5 overs. In a virtual semifinal clash, Nepal will have to defeat Canada, their last fixture of the league, to finish on qualifying spots. Similarly, Namibia will need to overcome the United Arab Emirates (UAE) to top the group and play the subsequent final for the trophy on Friday and secure their promotion to the World Cup Qualifiers. If both Nepal and Namibia lose their respective matches, Canada and the UAE will move on one step closer to the World Cup in 2019. 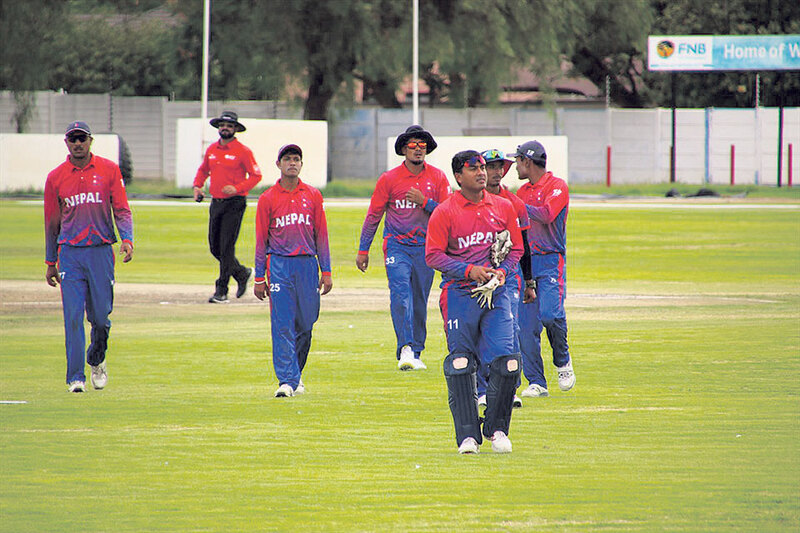 Nepal has defeated Namibia, the UAE and Kenya but lost to Oman in the tournament. 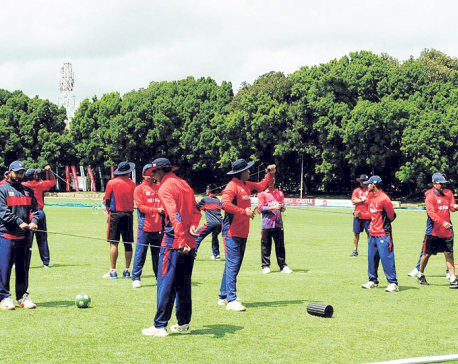 Meanwhile, except for their first-day loss to Nepal, Namibia has won three matches on the trot defeating Oman, Canada and Kenya to earn the second place on the points table. Nepal’s Sandeep Lamichhane leads the bowling charts with 14 wickets to his name including his first five-wicket-haul against Kenya on Monday. He is followed by Namibia’s Brian Scholtz and Omani Bilal Khan with 10 wickets each. Similarly, in batting department, Canada is running the show with two top run getters in the tournament. Canada’s opening batsman Ravindu Gunasekera has scored 207 runs and skipper Nitish Kumar has 168 runs to his name. For Nepal, Paras Khadka leads the charts with 129 runs including a blistering half-century against the UAE on Sunday. 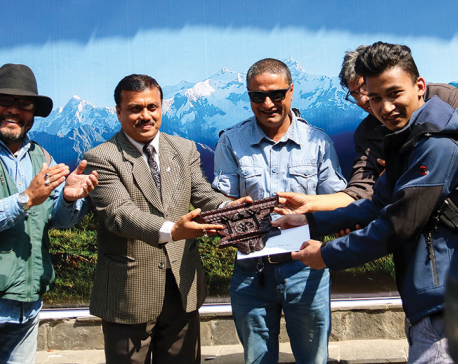 Namibia has 0.787 positive run rate compared to Nepal’s -0.158. Canada sits on top of the table with six points and 1.116 net run rate. 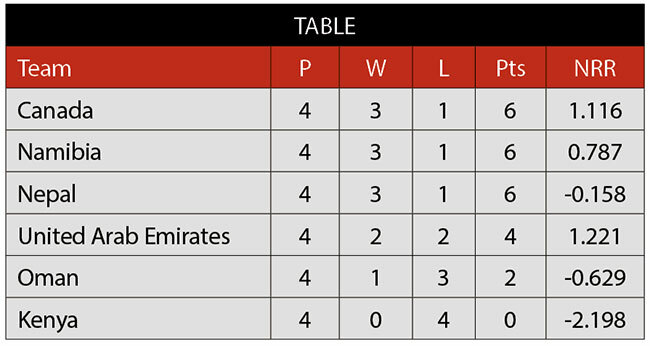 The United Arab Emirates (UAE) has four points and languishes at the fourth place on the table. Both the final league round matches, Nepal versus Canada and Namibia versus the UAE are eliminators. The winners will go through whereas the losers will stay in the Division Two waiting for next cycle of qualifications to start.